It was a hot summer evening. My friends and I had been walking around downtown Atlanta for a couple of hours looking for interesting photo opportunities. We went to the top of a parking garage where we found a little ladder that went up to the roof. 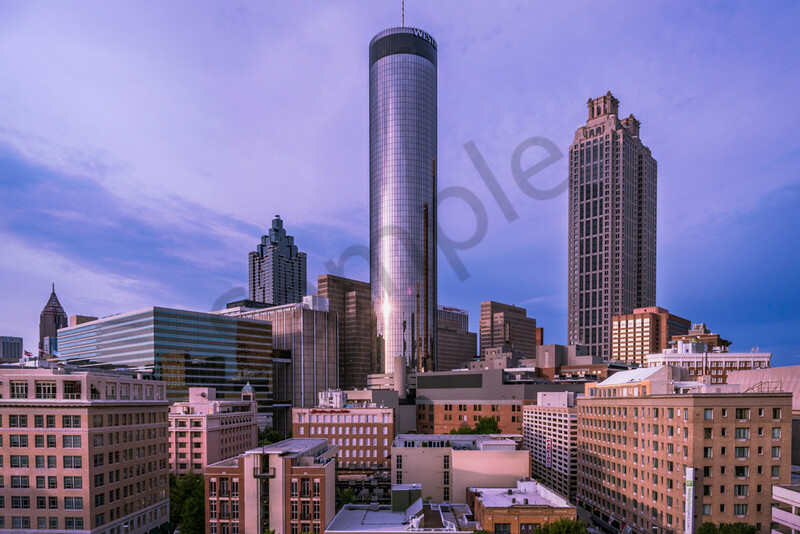 Not everyone was crazy about the height, but heights don't bother me, so I climbed up to the top and got a great view of the City of Atlanta with the iconic Westin Hotel front and center.